I'll just leave this photo here and start with that. But now you might be wondering why there are so many people tricep-dipping in the heart of a city (in this case, Nashville). 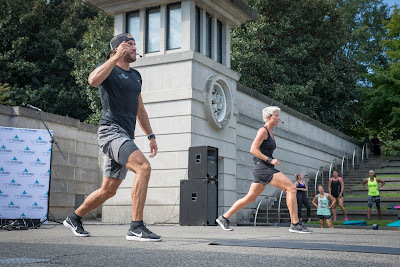 They're breaking a sweat at CitySTRONG, a fitness tour hosted by celebrity trainers Shawn Booth and Erin Oprea. After a stop in Nashville in September, CitySTRONG comes to Chicago on Sunday, October 2. And instead of finding this workout at one of your more typical outdoor venues--Grant Park, Navy Pier, we're looking at you--you'll find CitySTRONG attendees working out on the rooftop at the 31st Street Harbor. Many fitness fans might be drawn to the celeb power--after all, Shawn was Kaitlyn Bristowe's suitor on The Bachelorette (and in real life he's a personal trainer) and Erin trains Carrie Underwood, among others. But there's more just star gazing Sunday morning. Think killer views of Lake Michigan, killer tunes spun by none other than Bachelorette Kaitlyn, and one killer workout from Shawn and Erin. I'm envisioning squats, lunges and pushups among the mix of bodyweight moves, although I really have no clue what I'm in for come Sunday morning. So the Chicago stop of CitySTRONG is already sold out (I know I'm not surprised based on the weather forecasting the first break in rain in days, the unique venue, the not-too-early 9:30 a.m. start, and the opportunity to sweat with Erin, Shawn and Kaitlyn), but read more about it here or on CitySTRONG's website. And if you need an excuse to head to San Diego when you really start missing summer, that might be CitySTRONG's next city--but the November stop has yet to be announced. Photos courtesy of CitySTRONG and Zach Harrison Photography. 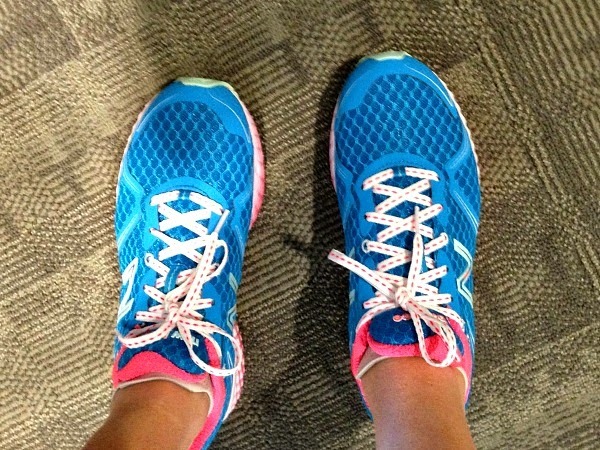 What's a common complaint among runners? That race registration fees can get expensive. Multiple 5Ks, 10-milers and half marathons that are creeping toward $100 (or more), marathons that are at least $100 (or more than $200 if you're running NYC). When you run a lot of races, you start to feel like you're getting bled dry on the fees alone. So if you could save some dough and not pay top dollar for a race you think you'll run next year, wouldn't you take it? Of course! Here's your chance. Today the Rock 'n' Roll Marathon Series launched #MyRnRTour, a new interactive race calendar planning tool for its 2015 races. To celebrate, the series is giving runners a hefty one-day discount on its race registrations where runners can register for Rock 'n' Roll series races for as low as $59 in select cities. Instead of costing upwards of $100 (if you drag your feet on registering, that is), the 2015 HumanaVitality Rock 'n' Roll Chicago Half Marathon costs $70 while its accompanying 5K costs $35--an offer good only on November 20. 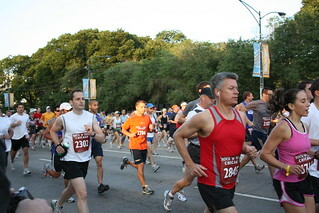 The 2015 race will be held the weekend of July 18-19 in downtown Chicago featuring local bands blasting tunes along the course and concluding with a headliner concert at the finish line. Snow on the peaks of Crested Butte? Sure, it's only October (barely), but three inches of fresh snow this time of year is not an un-welcome sight in Colorado. When the rest of the country curses the snow, Colorado, its Rocky Mountain towns especially, embrace it. And why? 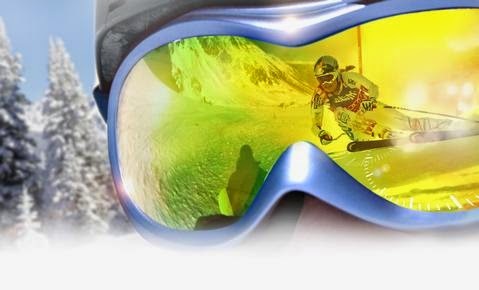 Because it means that winter--and skiing all that snow--is coming. Fall colors might be lovely to look at (this coming from the girl who wasn't even a fan of the rich yellow, orange and red hues until a weekend in Aspen changed that), but bare trees and snow piled as high as the rooftops signal a season that's more fun to play in. 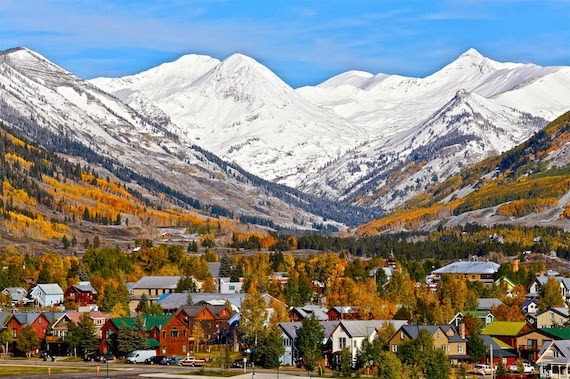 And knowing that Crested Butte Mountain Resort, and other Colorado resorts who shared pictures on social media, got some snow makes the cooler weather and switch from shorts to pants more tolerable for this girl. I might savor every last bit of summer, but skiing keeps me sane in winter. Who else is ready to hit the slopes? Fifty-four days and counting if you're waiting for Crested Butte's free skiing when it opens on November 26, the day before Thanksgiving. Photo looking at Paradise Divide shot by Chris Segal and provided by Crested Butte Mountain Resort.